Cup season kicks off on 8 January. 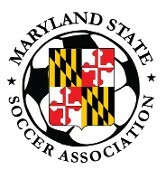 (24 Dec) The Maryland State Soccer Association will start off the new year with its cup competitions beginning with the Morton Cup. Ten teams split into two groups face off to determine who will make the semifinals in February. The Rowland Cup will also commence in January as eight sides will battle in group play to reach the final. The winner will represent the state in the Region I qualifiers of the Werner Fricker Cup. We have 12 fighting for the Stewart Cup, which will be a knockout tournament. The first round takes place in February after the conclusion of the Rowland Cup. The prize is a slot in the US Amateur Cup in the Region I rounds. Our final championship is the Maryland Over-30 Cup with three teams battling for a shot to compete in the Gerhard Mengel Cup. Round 2 of Morton Cup to get us back on track. (12 Jan) The weather was not so kind to us for our first match day of the Morton Cup. We will commence the 2017 cup competitions with the second round of the Morton Cup. The games set for the first week will be played on 12 February. We also had a few fields changes from our original schedule. So teams should check their schedules for all updates. Next weekend we get the Rowland Cup off to its start with eight sides battling to reach the final. The winner will represent the state in the Region I qualifiers of the Werner Fricker Cup. The first match day of the Rowland Cup gets off the ground with eight teams looking to take Maryland's open title. The prize is a shot at the Region I qualifiers of the Werner Fricker Cup. Troy Park and Howard High School will host those games. Christos & Yinz off to flying starts. (23 January) Maryland's oldest competition got kicked off this past Sunday with 102nd version of the Rowland Cup. We have eight teams fighting for Maryland's open title that sends the winner to the Region I qualifiers of the Werner Fricker Cup. Defending champion Christos FC defeated Maryland Major rival NLS Graduates 3:1 for a share of the lead in Group A. In a Group A encounter between Washington Premier sides, Aegean Hawks FC edged Washington Elite FC 1:0. Group B saw Yinz United trounce Finito FC 7:2 while Izee Auto Body FC were one shot better in a 4:3 goalfest against Charm City FC. Next Sunday will feature interleague face offs with Group A leaders Christos and the Hawks meeting at Howard High School. Washington Elite and NLS Graduates will play prior. At Troy Park we have Izee against Finito followed by Charm City versus Yinz. The two Catonsville FC sides finished another week with double victories with Blue in command of the Group B standings after a 2:0 shutout of DC Flames. Das Bier Haus introduced themselves into the competition snipping Coachem 2:1. The two teams lie in second with 3 points, Bier Haus with a match in hand. Group A has Academy FC and Catonsville Orange at the top of the standings. Academy took care of defending champion Brothers United with a 5:0 beating while the Orange outperformed Colombia FC 6:4. The third match day for the Morton Cup will again be played at Troy Park in Elkridge and Martin Luther King Park in Silver Spring. Yinz & Izee Auto Body to battle for other final spot. (30 January) One finalist is set and the other will be determined next Sunday as the Rowland Cup completed its second match day. Elton Joe scored all four goals as Christos FC shutout the Aegean Hawks FC. The victory clinched Group A for Christos who await the winner between Yinz United and Izee Auto Body FC for the final scheduled on 12 February. In the other Group A encounter, Washington Elite FC and NLS Graduates each scored 3 goals in their draw. In Group B, Yinz defeated Charm City FC 4:1 to set up their group final against Izee Auto Body who demolished Finito FC 6:2. Yinz has the advantage in goal differential between the two sides so Izee needs to win to make the final. The last round of these Rowland group fixtures will be played at Blandair Park. Academy FC earned its place in the Morton Cup semifinals after a 4:0 blanking of Catonsville FC Orange. In fact, all four matches in this competion ended in shutouts with Brothers United 6:0 over FC Spartan and Group B victories for Capital Rovers against Das Bier Haus 7:0 while Coachem beat Catonsville FC Blue 3:0. Two more rounds are left with next Sunday's matches scheduled at Howard High School and Blandair Park. Morton has one last round to determine its semifinals. (6 February) It will be a Champion Cup final as the top sides of the Maryland Major Soccer League and the Washington Premier League will meet to determine Maryland's open title. Christos FC swept its group with a 4:1 drubbing of Washington Elite FC. In the other group match, it was a 2:2 draw between NLS Graduates and the Aegean Hawks FC. WPL champion Yinz United defeated Izee Auto Body FC 3:1 to finish Group B undefeated. Finito FC ended the tournament with a 5:2 win over Charm City FC. The Rowland Cup is Maryland's oldest competition dating back to 1914. Sunday's winner will earn a place in the USASA Region I qualifier of the Werner Fricker Cup that Christos won last summer. Come out to Blandair Park, 11:00 for the title match. The Morton Cup plays Match Day 1 that was postponed because of snow last month. Academy FC finished with a perfect record in their 4:1 victory over Spartan FC top top Group A. They are the only team to ensure a semifinal spot and will have a bye next Sunday. Colombia FC picked up their first points in the standings after edging defending champion Brothers United FC 2:1. Those two along with Catonsville FC Orange are battling for second place and the other semifinal position. Group B is wide open among four clubs with Coachem in the driver's seat at 7 points. They drew against Capital Rovers in a wild 4:4 result. The other group match saw Das Bier Haus and DC Flames in a 3:3 shootout. The final round of group play will take place Sunday at Blandair Park. Morton semifinals are set, Stewart will kick off. (14 February) It was a match between two worthy league champions and it turned out to be a tough final. Maryland Major Soccer League champion Christos FC and Washington Premier League title holder Yinz United battled it out for not only 90 minutes but 30 more in extra time. Both keepers and defenses were playing it tight, giving little space to the opponent. Regulation ended scoreless and it appeard so too would extra time that would lead to penalty rounds. With a little over a minute remaining in the match, Christos took a corner kick. Despite two saves in the goal mouth, Joe Glos was able to pounce on a loose ball and put it into the net. The goal gave Christos a second consecutive title, once again at the expense of Yinz who lost the final to Christos 2:1 last season. We may see these two again in the Stewart final next month. The Rowland Cup is Maryland's open competition and its oldest dating back to 1914. Christos will now march forward to the USASA Region I qualifier to defend the Werner Fricker Cup it won last summer. Group play is complete for the Morton Cup. Catonsville FC Orange earned a semifinal place with a 2:0 shutout of Brothers United FC to finish second in Group A behind Academy FC. Group B ended with three sides tied at 7 points. Capital Rovers took top place on goal differential after a 4:2 victory over DC Flames. Coachem held on to second as Das Bier Haus could not overcome a negative goal differential despite a 3:0 drubbing of Catonsville FC Blue. Academy will meet against Coachem while the Rovers take on Catonsville in next Sunday's semifinals. Both games will take place at Blandair Park. Maryland's amateur competition kicks off on Sunday at Blandair Park with first round matches of the Stewart Cup. The winner of this single elimination tournament will move on to represent the state in the US Amateur Cup. Stewart moves onto the quarterfinal round. (21 February) Academy FC and Catonsville FC Orange finished as top two in Group A with Academy winning it by virtue of defeating their opponent. The two will have a rematch to determine who lifts the Morton Cup this season. Academy disposed Coachem 4:1 while Catonsville shutout Capital Rovers 4:0 in Sunday's semifinals. The final will be played at Howard High School in Ellicott City with a kickoff at 11:00. We got the Stewart Cup off the ground with four first round games. This round featured face offs between sides from the Maryland Major Soccer League and the Washington Premier League. The WPL got the better end as all four of its teams advanced to the quarterfinals. Capital City FC blanked NLS Graduates 2:0, Kamikaze Crew thumped Catonsvile FC 4:1, the Aegean Hawks FC put away the Old Baltimore Footballers by the same result and Finito FC trounced Charm City FC 8:1. We have the next round at Blandair Park in Columbia and Martin Luther King Park in Silver Spring. Matches will be played at 11:00 and 1:00. The winner of the Stewart Cup will move on to the Region I qualifiers of the US Amateur Cup. Only four left in Stewart Cup. (28 February) It went into final penalty kicks as Academy FC and Catonsville FC Orange drew even a goal apiece after 90 minutes in the championship match of the Morton Cup. Neither side budged during regulation and the same was true during the spot kicks with Catonsville getting the edge with three kicks converted. It is the first state title for Len Van de Graaff who has played and managed teams in the Maryland Major Soccer League for the past two decades. Congratulations to Len, Catonsville and Academy for a fine cup run. The Morton Cup is played in the memory and honor of Darwin "Lefty" Morton, former Vice President of the Maryland State Soccer Association and a great contributor to the game for so many years. Lefty could be found every Sunday at some soccer field either as a match commissioner or just to watch a game. We are at the final four stage of the Stewart Cup to determine who will represent Maryland in the US Amateur Cup. Defending state and national champion Christos FC was given a difficult match as they got by Capital City FC 3:2. They will meet Washington Elite FC in the first semifinal who put away league rival Kamikaze Crew 4:0. Washington Premier League champion Yinz United battled it out with the Aegean Hawks FC. It took extra time to advance to the semi's with a 3:2 victory. Yinz will meet Finito FC, 4:0 victors over Izee Auto Body FC. The semifinals will take place Sunday at Blandair Park in Columbia starting at 11:00. Stewart winner will determine who moves onto Amateur Cup. (10 March) These two met a month ago for the Rowland title. They are also the champions of their respective leagues. And they have shown in this competition to be the two strongest sides in Maryland Soccer. Christos FC of the Maryland Major Soccer League and Yinz United of the Washington Premier League will play for the Stewart Cup, Maryland's amateur competition that was first played in 1932. In the Rowland Cup final for the state open championship that took place in February, Christos scored in the last minute of extra time. A tough rematch is expected again. Yinz reached the title match defeating league rival Finito FC 2:1. Christos went through on the same result against Washington Elite FC. The final is set for Sunday at 11:00 at Blandair Park in Columbia with the winner heading to the Region I qualifiers of the US Amateur Cup. We have one more competition left for this season with the Maryland Over-30 Cup. Catonsville FC will meet Mando Ramos FC at Martin Luther King Park in Silver Spring at 11:00. The winner will take on defending champion Christos FC on the 26th of March. The winner of this competition qualifies for the Gerhard Mengel Cup. Maryland Over-30 Cup last remaining competition for the season. (14 March) It was another tough drawn match between two league champions who met in a final just a month ago. Christos FC of the Maryland Major Soccer League and Yinz United of the Washington Premier League faced each other for the title match of the Stewart Cup, just as they did for the Rowland Cup. The result was the same with Christos edging their state rival with a 1:0 shutout. After a scoreless half, Elton Joe put his side ahead when he connected on a cross from Levi Houapeu for the only goal of the match. Last seaon, Christos achieved the national double winning the Werner Fricker Cup (Open) and the US Amateur Cup. They look to do the same again after repeating the state double. They will first have to defend their Region I titles starting with the Amateur Cup quarterfinal against the representative of Western New York on 9 April. Christos will go for the triple as it will meet Mando Ramos FC in the final of the Maryland Over-30 Cup. Mando Ramos advanced to the championship match with a 2:0 victory over Catonsville FC. The final is tentatively scheduled for Sunday, 26 March at Blandair Park at 11:00. The winner of this competition qualifies for the Gerhard Mengel Cup. Match moved to Sunday night, Oakland Mills HS at 7:00. (22 March) Christos FC will attempt to repeat the state treble when they take on Mando Ramos FC in the final of the Maryland Over-30 Cup. The winner advances to the Region I qualifiers for the Gerhard Mengel Cup. Next step is to defend Region I titles. (7 April) For the second year in a row, Christos FC attained the state treble, winning the Maryland Over-30 Cup with a 4:0 shutout of Mando Ramos FC in the final. The match was pretty much decided in the first half with Val Teixeira getting a brace and Lucio Gonzaga adding a goal to put Christos up by three. Andy Wells converted a penalty in the second half for the final tally. The side moves onto the Region I qualifiers for the Gerhard Mengel Cup where they will host the winner of the Eastern Pennsylvania Soccer Association champion at the end of April. Before playing the Mengel Cup, Christos has two Region I titles to defend. The first will be this Sunday as they host the Rochester River Dogz Reserves of Western New York in the US Amateur Cup. The match kicks off 2:00 at Long Reach High School in Columbia. Then on 23 April it is Junior Lone Star of Eastern Pennsylvania for the Werner Fricker Cup. This will be played at Banner Field in Latrobe Park at 1:00. Last season, Christos went past the region to win both national titles. Defending champ Phoenix SC opponent for the Gerhard Mengel Cup. (26 April) Christos FC will not hold onto their US Amateur Cup title this season as it fell to the Rochester River Dogz Reserves of Western New York 2:1 in the quarterfinal round of the USASA Region I qualifier on 9 April. They did bounce back this past Sunday against Junior Lone Star of Eastern Pennsylvania to continue in the Werner Fricker Cup. Lone Star went ahead in the 30th minute with a goal from Anthony Allison. Levi Houapeu drew it even before halftime Those two would exchange goals in the second half with the match ending 2:2 in regulation time. In the second part of extra time, Chris Wilson hit a bomb from about 30 yards out to send Christos to the semifinal. They will head to Buffalo 14 May to meet Clarence Coyote of Western New York. The over-30 side for Christos will host the defending Gerhard Mengel Cup champion, Phoenix SC of Eastern Pennsylvania this Sunday at Banner Field in Latrobe Park at 1:15. The two played each other last season with Phoenix edging Christos 2:1 in the quartefinal round. The winner will host the semifinal against United SC of Metro DC-Virginia on 21 May. Next month, Christos travels to Fredericksburg, Virginia for their Lamar Hunt US Open Cup tie against Fredericksburg FC of NPSL. Dethrone 2016 Phoenix SC. (3 May) Christos FC is in two out of three semifinals of the Region I cup qualifiers. In a reversal of last season's quarterfinal match, Christos sent home last year's champion Phoenix SC of Eastern Pennsylvania with a 4:1 victory in the Gerhard Mengel Cup. A converted penalty by Lucio Gonzaga gave Christos the early lead while Stephen Saunders did his part on the opposite end to hold the lead saving a Phoenix penalty kick right before halftime. The Philly side drew it even in the second half and the match ended 1:1 in regulation. Louie Karko set up Ryan Russell for the game winner during the first extra time period. Yaikel Perez then scored a brace on both ends of extra time to seal the victory. On 21 May, Christos will host United SC of Metro DC-Virginia at Hammond High School. The start time is set at 2:15. Christos heads down I-95 for their Lamar Hunt US Open Cup tie against Fredericksburg FC of NPSL on 10 May. The 5:00 start is will take place at the University of Mary Washington Battleground Stadium in Fredericksburg, Virginia. Then it is up north to Buffalo, New York on 14 May to play Clarence Coyote of Western New York in the semifinal stage of the Werner Fricker Cup. Region I finals to be played later in the month. (5 June) Christos FC has had a remarkable cup season. It took the Maryland treble winning the Rowland, Stewart and Maryland Over-30 Cup. In Region I qualifiers, Christos will look to defend the Werner Fricker Cup against Lansdowne Bhoys of Eastern New York and take the Gerhard Mengel Cup in its encounter against Danbury United of Connecticut. But before playing those finals on 18 June, it has a Lamar Hunt US Open Cup derby against DC United on 13 June at the Maryland SoccerPlex. The match kicks off at 7:30. Christos run in the Open Cup started with a visit to Fredericksburg FC of the NPSL on 10 May in round 1. Pete Caringi III scored a hat trick in the 3:0 victory and earned player of the week honors for his efforts. A week later, Christos headed south again on I-95 to meet the Richmond Kickers of the USL with goalkeeper Phil Saunders taking player of the week honors with a 1:0 shutout of the 2nd division professional side. Saunders recorded 7 saves while Geaton Caltabiano put away the game winner in the 79th minute. A change in direction for round 3 with the side flying to the Windy City to take on Chicago United FC of the USL PDF. Levi Houapeu netted in the first minute and Saunders & Co. held on for a third shutout. Not only did Christos get rewarded with the derby against MLS DC United but as the last remaining amateur side in the tournament, they will receive a $15,000 prize from US Soccer. Team will head to Detroit for National Finals. (3 July) Christos FC continues its rich history in Region I cup success as it defeated Danbury United of Connecticut 4:2 to lift the Gerhard Mengel Cup, the Over-30 Championship. United took the lead in the 17th minute but Lucio Gonzaga drew it even four minutes later. Dan Lader's pass put Christos ahead midway through the half as he set up Kevin Mezzedra for the goal. Danbury tied it up 65 minutes into the second half and it appeared the match would go into extra time. Mezzedra scored his second goal in the 84th for the game winner and Christ Ports put it out of reach in injury time for the final result. Captain Val Teixeira accepted the trophy, the fourth in six years for Christos in this competition. They will head out to the Ultimate Soccer Arena in Pontiac, Michigan on 18 & 19 August for the national finals. Christos were looking to return to Maryland with a Region I double as it faced Lansdowne Bhoys FC of Eastern New York in the Werner Fricker Cup, the Amateur Open Championship. They came just short as Lansdowne went through on penalties after the two fought through a 1:1 battle. Lansdowne struck first 15 minutes into the match when a scrum in front of the goal mouth allowed a corner to go in unobstructed. The first half ended 1:0 for the New York side. Mamadou Kansaye leveled it in the 60th minute with a wonderful strike. Both teams were unable to make good of their opportunities through either regulation or extra time, so it went to penalties. In the fifth round, Lansdowne hit their final kick to become champions with a 3:2 advantage. It was a worthy final between two of the best amateur teams in the United States.